You are browsing the Blog for color rendering. 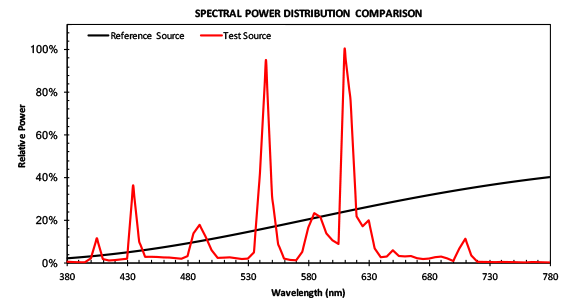 By now most of us have attended one or more seminars or webinars about IES TM-30 and understand that it is a method of measuring various color rendering properties of a light source and reporting those measurements. The thing that’s been missing is a recommended set of values that set minimums, maximums and/or tolerances for the various measurements. This has been true for two reasons. First, TM-30 is a method and as such was never intended to set recommended values. The second is that while the science behind TM-30 is solid, the science doesn’t offer any predictions of acceptability. During the seminar we’ll review some TM-30 basics, look at several research projects that are helping to establish TM-30 thresholds, and review how to use the TM-30 calculator. Don’t miss it! The webinar is at 12 noon EDT. Register here. This year LEDucation, the largest LED only trade show and educational forum in the U.S., will be on March 13 and 14. On Tuesday the 13th from 11 am to 12:30 pm I’ll be presenting a forum called How To Use TM-30, along with Dr. Michael Royer of Pacific Northwest National Laboratory and Wendy Luedtke of ETC. Here’s a summary of the event. This presentation discusses a number of design trends that are currently shaping the industry and promising to redefine the role of lighting as we know it. New technologies are making dimensions such as color and dynamic behavior over time viable for main-stream lighting, and that constitutes exponential change. This presentation explores a few of the dimensions that appear to be gaining traction, and attempts to illuminate some of the reasoning behind their development. Implications to the user experience are discussed, along with the inadequacy of present lighting metrics. 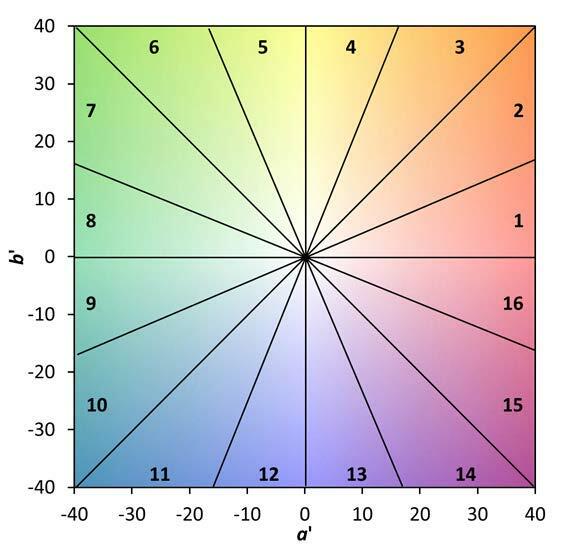 In addition to an index that measures the fidelity of a light source to its reference source (Rf) IES TM-30 includes an index that indicates the change in saturation of colors called the Gamut Index and abbreviated Rg. Rg is calculated using the same Color Evaluation Samples (CES) and underlying calculation engine as Rf, which makes TM-30 a cohesive system. Here’s how Rg works. 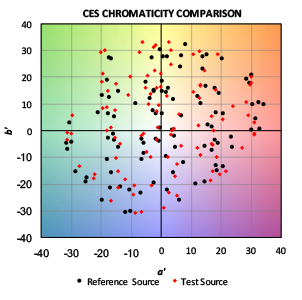 An Rg value of 100 indicates that, on average, the light source in question does not change the chroma, or saturation, of the 99 CES when compared to the reference light source. 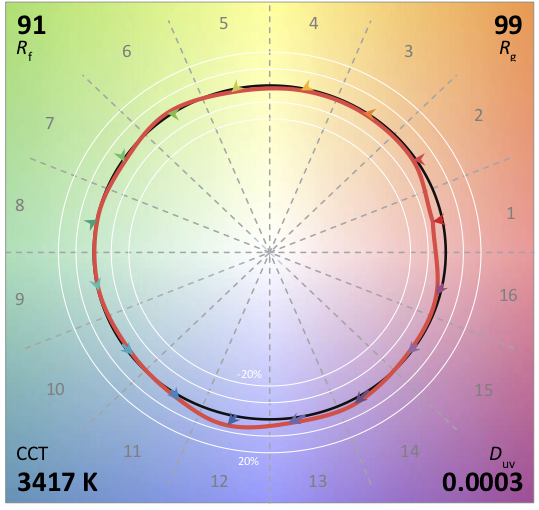 An Rg value below 100 indicates that, on average, the light source renders colors as less saturated than the reference source, and an Rg value above 100 indicates that, on average, the light source renders colors as more saturated than the reference source. 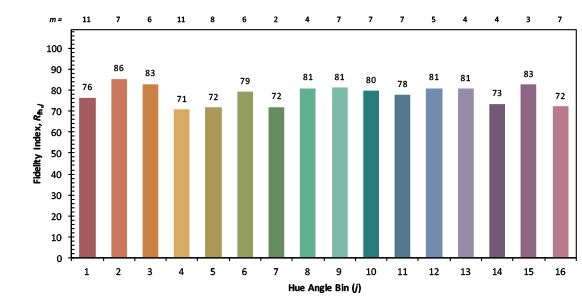 Since Rg is an average it says nothing about the possible change in chroma for any individual hue angle bin or for any individual color evaluation sample. That’s ok, thought, because TM-30 also tells us the Rg values for each hue angle bin, and for each CES. 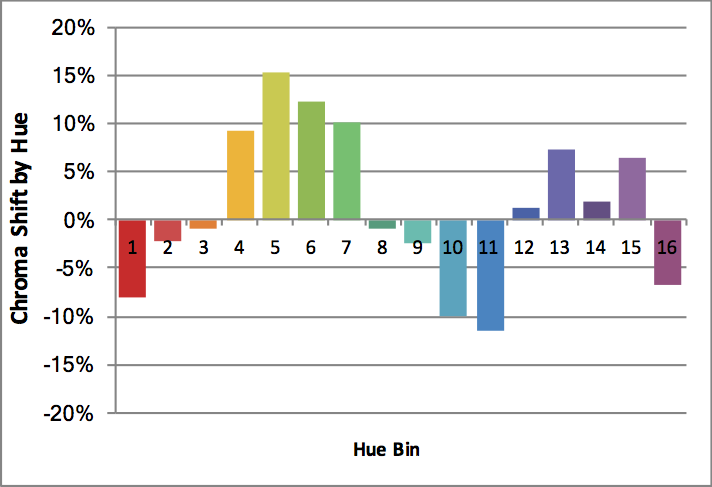 Here’s an example of the graphic for the hue angle bins using the same light source as the previous post on Rf. TM-30 doesn’t recommend any particular Rg or set of Rg values. As with Rf, the interpretation of the information is left to the specifier. Acceptable or desirable values will vary by application. 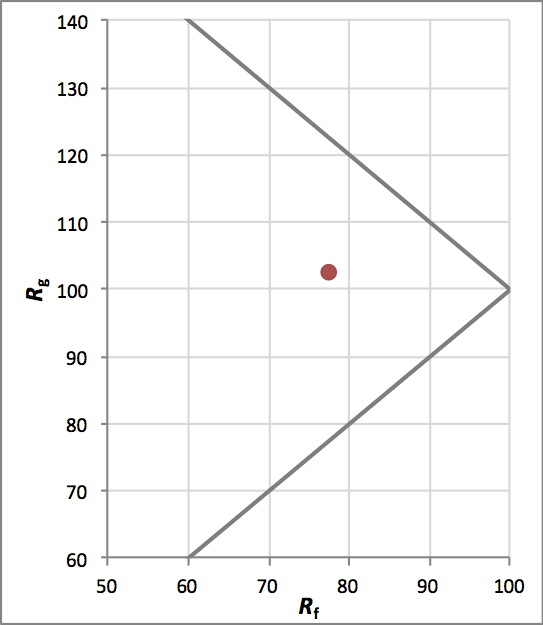 Rg doesn’t have a maximum or minimum value, but the possible range increases as Rf decreases, as shown below. The wedge to the left of the gray lines shows the range of possible Rg values, while the red dot represents the lamp we’ve been discussing. 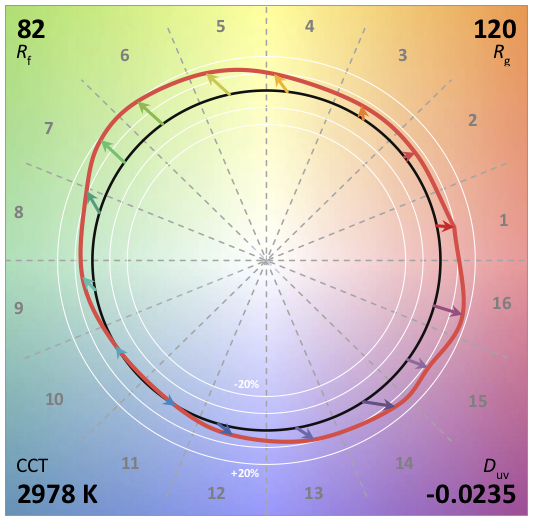 The Rg values are also presented in a Color Vector Graphic (CVG), as shown below. 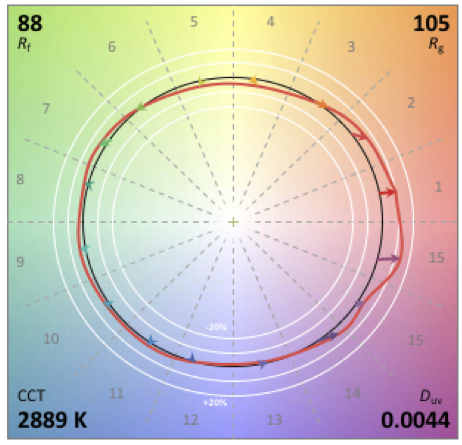 The white circle is the normalized reference source. The black circle is the lamp in question. Where the black circle is inside the white, colors are desaturated. 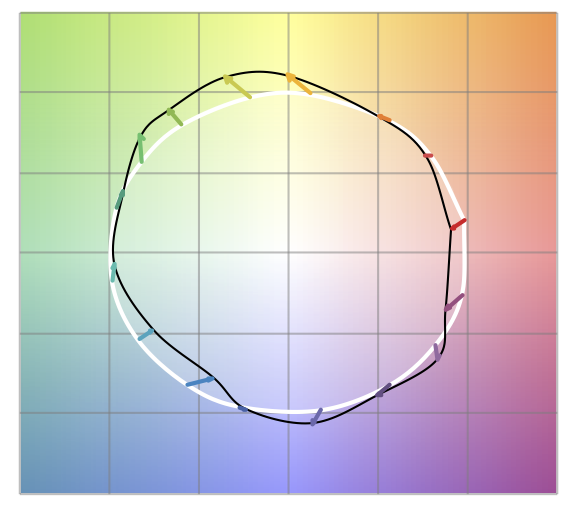 Where the black circle is outside of the white, colors have increased saturation. 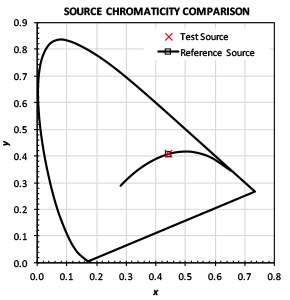 The colored arrows indicate the direction of saturation shift, and the direction of hue shift. Arrows that point straight in or out show only saturation shift. Arrows that show rotation left or right also indicate hue shift. I know! And, the next version of TM-30 will present a graph showing the hue shift! Chroma Shift, Hue-Bin 1: -9% to +9%. Clearly, TM-30 permits us to be much more specific about the color rendering that is acceptable or desirable for a project. Why bother with CRI anymore? The overall idea is that people seem to prefer a light source that slightly over saturated most colors, especially red. 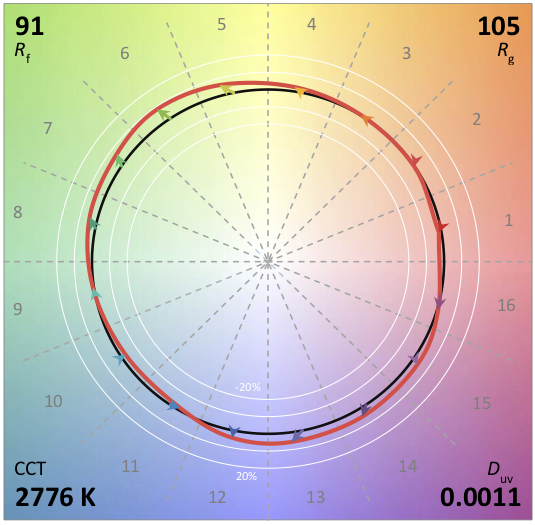 “Using a custom LED mix, Focal Point defines Preferred Light using TM-30-15 metrics as having a fidelity (Rf) of 89, a gamut (Rg) of 107, and over-saturating Hue Bin 16, deep red content, by 9% at a [Correlated] Color Temperature of 3500K.” So, by using the statistical measures of TM-30 and applying them to the related topic of color preference Focal Point has identified an optimized set of LED products to meet their customers’ needs. I’ll be the first to admit that it may be risky to base all of this on only three studies, but other studies have shown that the TM-30 results can be applied in this way, and are also showing us the relative importance of the various calculated values. I’m excited to see the industry using the tools, and am looking forward to seeing the Preferred Light for myself. 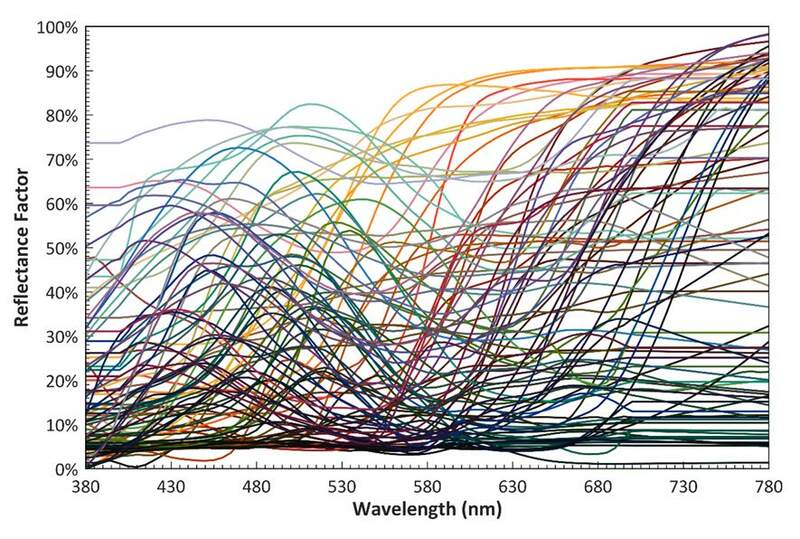 It’s important to note that increased saturation means decreased fidelity to the reference light source. This is a lighting solution that will be desirable in some applications, such as retail,and undesirable in others, such as medical facilities.